What's the difference between Wifi and 3G? A Kindle with wifi accesses the internet through an existing internet connection. If you already have internet at your home, office, library or local Starbucks, you can access the internet, usually within about 50 feet of a signal coming from a wireless router. You do not need a cord of any kind to connect – your Kindle Fire picks up the signal wirelessly. WIFI is great if you already have access to a high-speed internet connection and a wireless router set up in your home and do not need the added convenience of a 3G connection. 3G internet works on the same signal as a cell phone by connecting to a cellular network. You can connect to the internet anywhere you have a phone signal. 3G works on the bus or the beach, WIFI does not. 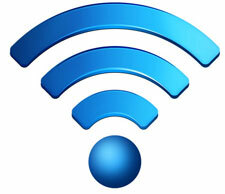 As long as the 3G network is accessible, you have internet over the air, almost anywhere. However, WIFI is usually faster than 3G.